For our Track-by-Track feature, we go in-depth with an artist about each song on their new album. 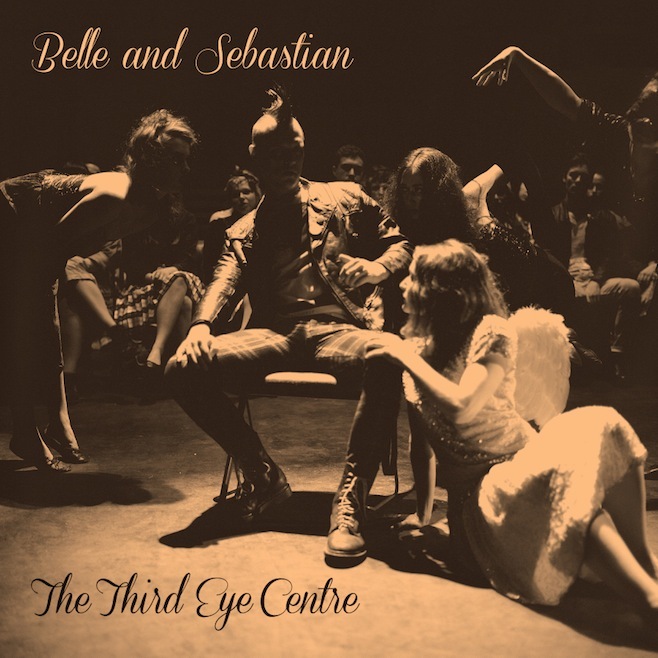 Last week we featured Belle and Sebastian's Third Eye Centre, and for three days we posted commentary by the band on all of the album's songs. Now we've compiled all three posts into one complete interview. Third Eye Centre is out today via Matador. Also look out for an additional article on Belle and Sebastian in Under the Radar's next print issue. In the lead up to the release of Third Eye Centre, their second compilation of ephemera and B-sides, Belle and Sebastian's Stuart Murdoch and Stevie Jackson spoke to Under the Radar about the provenance, recording, and other interesting facts regarding the songs. Stevie: I really like that one. The main theme of it is about growing up and trying to create your own magic as opposed to basking in the glow of magic that's come before. I'm thinking of this in the context of a kid who used to read a lot about musicians and watch documentaries on bands realizing that he should be living his own life and not reading about other peoples'—"I took a long hard look at the heroes of my youth/And the antics of the page they're on can no longer sustain me." It's quite direct, and it's a personal take about growing up and taking responsibility for creating things. Stuart: When I wrote that song, I can't quite remember why I didn't sing it, but it sounds nice with Sara singing it. It's somewhat inspired by the Edie Sedgwick biography. She just got into such a bad way with drugs and her mental state. She was stuck in her house, and the only stuff she could take in were baby stories like Winnie the Pooh. That was written for Edie. Stevie: It was my take on a Cliff Richards song called "Traveling Light." The song's about not traveling with very much luggage. I just like the idea of traveling light. I just wrote it one morning. The chord sequence isn't far away from "Mother's Nature's Son" by The Beatles—just picking a D chord and D minor, and it has that kind of feel to it. Chris and Mick wrote the string arrangement, and there's a spaceship sound in the middle of it. I can't remember who came up with it. I think Stuart took it off [the album] because there were stronger songs, but we still play it live occasionally. Just a folk song. It's a good quality B-side. Stuart: The band was in a great rush between LPs, after we'd returned from tour, and needed to record an easy track from the past. So we spruced it up a bit. I think I wrote the last couple of verses just at that time, added them on, and then we recorded it. Stevie: It's a very early Stuart song. I think he had it back in 1995, and we recorded it all completely live. It's a great memory of playing acoustic guitar on it live back in 2003 or 2004 again. Stuart: That's just an instrumental written by Mick. Not a lot I can say about that one. Stuart: A Tony Hoffer production. I love the production. It had a quality for a while where something moved, and it lost it. If it had that movement, a sort of funk thing to it, it would've made the LP, but it didn't so we left it off. The lyrics were about a girl I used to know in Glasgow. A girl I didn't know that well. She was quite the opposite of a millionaire. Rich people can buy many things but that can't buy grace and beauty, which this girl had in spades.